Made from an advanced stretch breathable compression-resistant fleece, this one piece mid layer provides warmth without bulk. 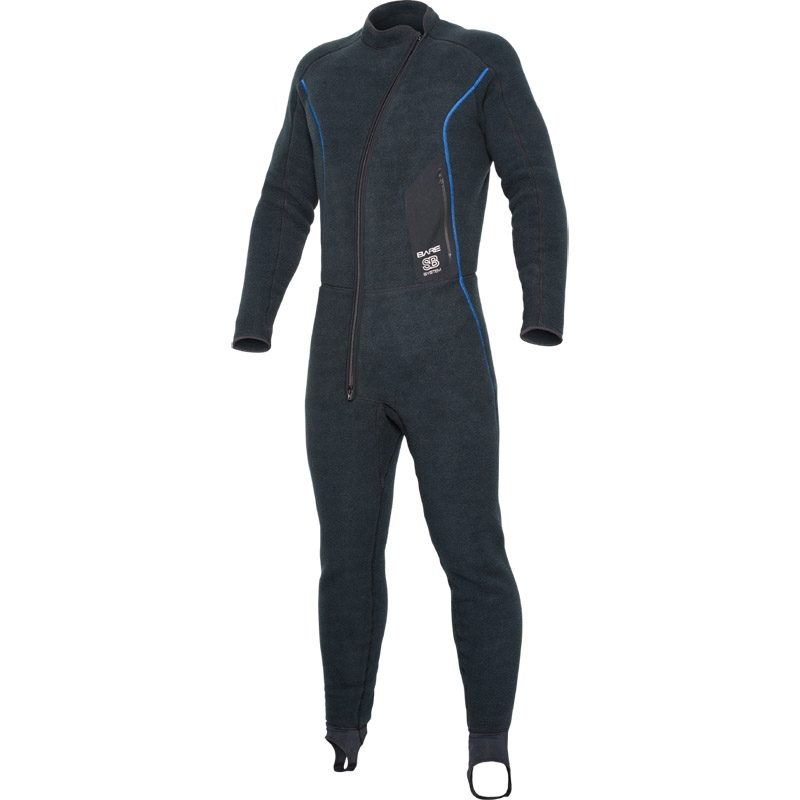 It also maintains insulating values at changing depths allowing the diver's core temperature to remain stable. 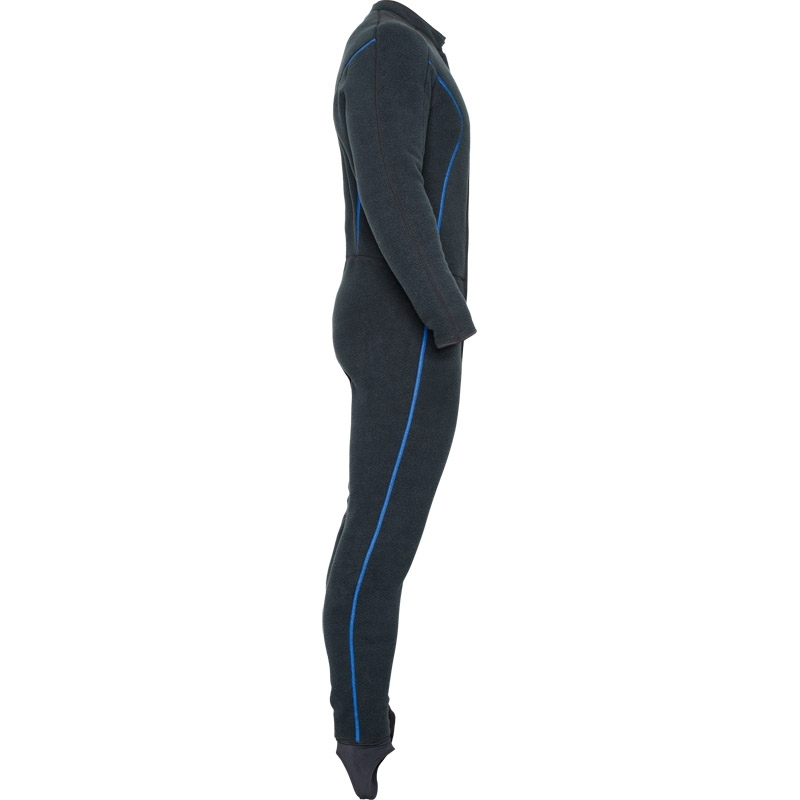 Stretch breathable and compression resistant made from polyester/spandex anti-microbial fleece. 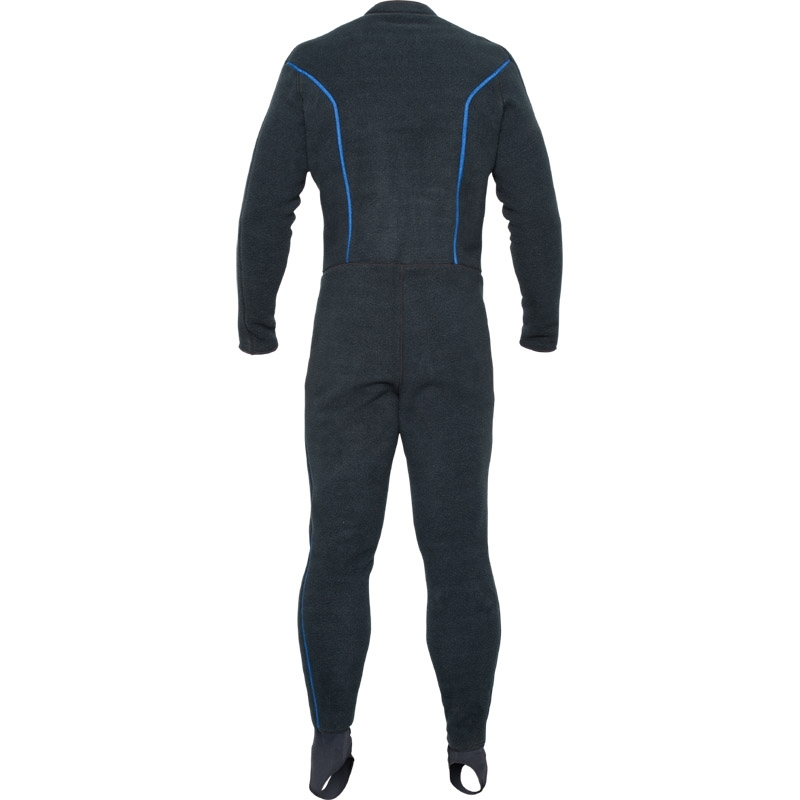 Includes Polartec Power Stretch technology. Compression-Resistant Fleece. Exclusively engineered, this is the first and only fleece fabric designed to be worn under a drysuit. Compression resistance fleece reduces the need for "loft" to create a thermal barrier thereby eliminating a "bulky" undergarment. It also maintains insulating values at changing depths allowing the diver's core temperature to remain stable.